COMMUNITY - Feeling a meaningful connection to a group of people. PERSONAL GROWTH - Pursuing new skills and self-awareness. SPIRITUAL GROWTH - Seeking connection to a higher purpose. RECOGNITION - Being noted for your efforts. The JReed Fund is the result of the 3rd-generation ownership of a Texas ranch named the Reed Family Ranch. The asset value of this third-generation owned ranch land is being used to convert dollars and other resources to a philanthropic Fund designed to "help good people to do good things." The operation of the Fund is based in Tyler, Texas. The ranch is located in north-central Texas, in the County of Navarro - northeast of the community of Kerens. Jim Reed has been the owner of this ranch since 1999 and is the creator of this website. The Reed Family enjoys the rewards of giving and allowing - and hopes that the resources are used in a way which benefits as many people as possible! We are a small collection of people who seek the rewards of healthy giving and sharing in the successes of others. The Reed Family has had a history of Texas land owership since 1893- when Jim's grandparents (Jimmy Francis Reed and wife Lottie Cureton) migrated to the county of Navarro in north central Texas- from Lancaster County, South Carolina. Year 2011 - The creation of the JReed Fund with resource dollars produced from the real estate value of the Reed Family Ranch and the designation of 1,168 acres of Trinity River bottomlands as the JReed Wetlands Preserve. Year 2010 - Announcement is made for plans to fund the JReed Fund with Reed Family Ranch resource dollars. Year 2001 - The Reed Family Ranch receives Texas Lone Star Land Stewardship Award. Year 1999 - Tillman Reed dies on May 8th; and Jim Reed inherits the Reed Bottoms ranch land. A name change is made soon thereafter - and becomes known as the Reed Family Ranch. Years 1940's - 1990's - As Lottie ages, son Willie manages the land primarily as a cow/calf operation- with periodic recreation hunting by Reed family members. Sons Jack and Tillman begin commercial and entrepreneurship operations in the nearby community of Kerens. During this time, the III Reed Brothers partnership is formed. With Willie's and Jack's deaths, Tillman purchases estate ownership interests and becomes sole owner of the Reed Bottoms. 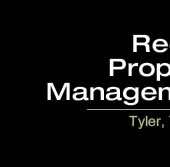 As Tillman ages, a partnership named Reed Enterprises is created (with partners Tillman and sons Lary and Jim). Years 1893 - 1940's - Land purchases continue to be made - primarily in the farm and ranch land northeast of the community of Kerens, Texas. Purchase of additional acres eventually make up the approximately 2,000 ac of ranch land and commonly begins to be referred to as the "Reed Bottoms". Year 1893 - Jimmy Francis and Lottie Cureton Reed migrate from Lancaster County, South Carolina to Navarro County (located in north central Texas). They begin settlement and purchase of farm land in the area northeast of the community of Kerens, Texas. 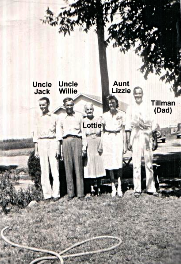 Ten years later, Jimmy dies after being thrown from a horse - leaving Lottie to raise 5 children (Willie, Jack, Tillman, Lizzie, and Mary Louise). Lottie experiences the death of two of her children - Mary Louise at age 21 and an infant son while husband Jimmy was still alive. Check out some of our photo albums by clicking HERE. For more information about the JReed Fund - its donations, services, and such - send email to Jim Reed. We look forward to hearing from you. Thanks!